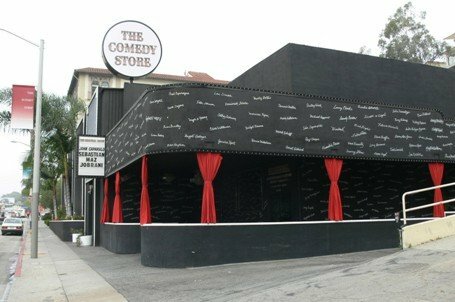 [PRESSWIRE] Los Angeles, CA, December 9, 2010: “FUNATICAL: Taking Comedy to the Extreme,” launches in Los Angeles today at the World Famous Comedy Store. Featuring an impressive comedian lineup, the tour will aim to unify Americans, by poking fun at the very stereotypes that have divided some Americans in a post 9/11 world. What makes this initiative unique is that it includes a line-up of talented American comedians representing the Muslim, Jewish and Christian faiths, whose cultural heritage emanate from a diverse group of countries. ‘FUNATICAL’ features the world’s only Indian Jewish comedian, a black Muslim convert, an Arab Jewish performer, famous American Muslim comedians, a Jordanian Catholic, a half Iranian/half black performer, Hindu comedians, a half Persian/half Russian, an Armenian Orthodox and an Iranian Bahai performer. “FUNATICAL” will launch on the West Coast and will include dates at Beyond the Stars Palace Theatre in Glendale on December 10th, and then will move to the Los Angeles Theatre Center on December 11, 2010. In late January, the show will head to the East Coast for stints in New York City and Washington, D.C. in early March. The tour, whose motto is, ‘We Come in Peace,’ will explore diverse cultures and current events, some which may have been controversial. Now, for the first time, the United Religious Initiative (URI), a United Nations NGO, is supporting a multicultural comedy tour. URI is a global interfaith peace-building organization that is currently active in 72 countries around the world. The FUNATICAL tour includes dozens of partners and supporters on both coasts including the Levantine Cultural Center and Beauty and the East TV. “FUNATICAL” is co-produced by a team of Muslims, Jews and Christians including: Jordan Elgrably, the creator of the long-running ‘Sultans of Satire’ comedy show, which stared Ahmed Ahmed and Maz Jobrani; Aron Kader from the ‘Axis of Evil Comedy Tour’ and Max Amini, comedian and founder of the ‘Exotic Imports’ comedy tour. 50 queries in 1.643 seconds.